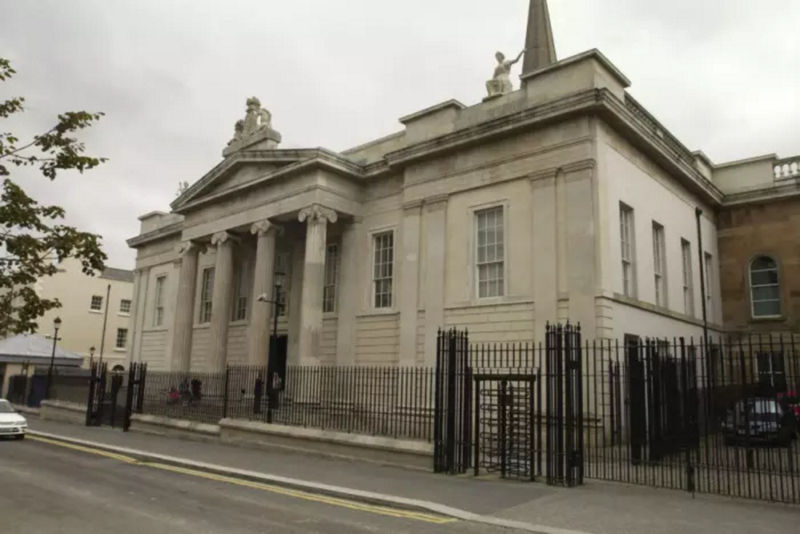 Ciaran Shiels, of Madden & Finucane, successfully applies for bail in alleged Derry Dark Web case. Six people have been hospitalised over the past 10 days as a result of taking prescription medication allegedly sourced from the ‘dark web,’ a court has heard. The revelation was made as a couple appeared in court accused of being concerned in the supply of the prescription drug Xanax. Convicted killer, Daniel John Young, faces a total of nine charges between July 1, 2016 and February 5, this year. Young was jailed for 10 years in 2008 for the manslaughter of local musician Jim Gilchrist. His partner, 33-year-old Terri Louise Graham, who was subjected to a ‘three year campaign of some of the most serious physical, emotional and sexual abuse’ by her ex-partner, faces a total of seven charges. They include possession of Xanax and Oxycontin with intent to supply; being concerned in an offer to supply Xanax and simple possession of Class A and class C drugs. Derry Magistrate’s Court heard that Young has a ‘significant record’ and has spent much of his life in prison. He did not make an application for bail. Police opposed a bail application for Graham for fears she will commit further offences or interfere with the investigation. The court heard allegations that six people have been hospitalised in the last 10 days as a result of taking Xanax. An investigating officer said one man has already been remanded in custody for supplying those six people with the drugs. He added that police believe Young and Graham are connected to this man and that he received the drugs from them. The officer said police searched Graham’s home at the weekend and seized a number of mobile phones. It is alleged these phones contain information on who the couple bought drugs from and who they were supplying them to. There is also allegedly photographs on the defendant’s social media account from the person police believe the couple are sourcing the drugs. The officer told the court police have information from Young’s phone to suggest that another package containing drugs is on its way to an address known to the defendants. It was confirmed that as yet there is no link between the defendants and the six people who have been admitted to hospital, however, the officer said the investigation is at the very early stages. The officer also claimed that police have fears Graham, who is addicted to prescription drugs, will go out and source more drugs if released on bail. He also told the court the 29-year-old had access to his girlfriend’s phone and social media accounts. Mr Shiels said Grahan is a ‘clearly vulnerable woman’ and provided the court with media reports of the ‘three year capaign of some of the most serious physical, emotional and sexual abuse one could imagine’. He told the court the defendant has no trappings of wealth associated with drug supply and it is her ‘contact with her co-accused which has led her into the situation she now finds herself in’. Mr Shiels added Graham has no criminal record and has never been arrested before. He said she could be heavily monitored by police if granted bail. Deputy District Judge Liam McStay accepted Graham is a vulnerable woman as a result of a ‘very, very serious background of domestic violence which came before the courts and was wdiely publicised at the time’. He said the 33-year-old has no criminal record and there is a presumption in favour of bail. Graham was released on her own bail of £200 and banned from having any contact with Young. She is also banned from possessing or using a mobile phone or any internet enabled device and must report to police three times a week. The judge warned Graham ‘keep away from the police investigation and any association you might have from taking drugs. Young was remanded in custody and Graham was released on bail until March 6.